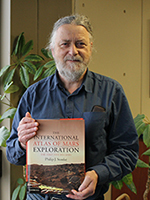 The International Atlas of Mars Exploration Volume 2, by Phil Stooke has been included on the Association of College & Research Libraries annual list of Outstanding Academic Titles. Phil Stooke is Associate Professor in the Department of Geography, cross-appointed in Physics and Astronomy. The book focuses on the exploration of the planet, mapping the paths of rovers and other exploration efforts, including some coverage of ideas of how human landing on Mars may be undertaken. Stooke’s PhD focused on mapping irregular shaped objects, which he regularly uses to map asteroids. He had previously completed an atlas of the exploration of the moon, and is working on a third volume of Mars exploration. Stooke also maintains online maps of Mars exploration, updating whenever rovers move. At Western, Stooke teaches others how to make maps, through cartography classes. Each year the ACRL reviews thousands of books and publishes a short list of the outstanding academic titles. 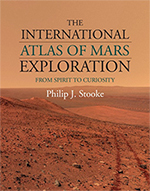 This is not the first time Stooke has received the honour; the first volume of the atlas was included on the 2012 list.